When you can’t stand to be away from your pets! Ahead of a recent vacation, I found myself dreading not seeing my three English labs, whom my readers know well by now: Moose, Mr. Chester, and Elvis. It’s hard leaving our devoted pets at home! But then I stumbled across the PetChatz pet camera. 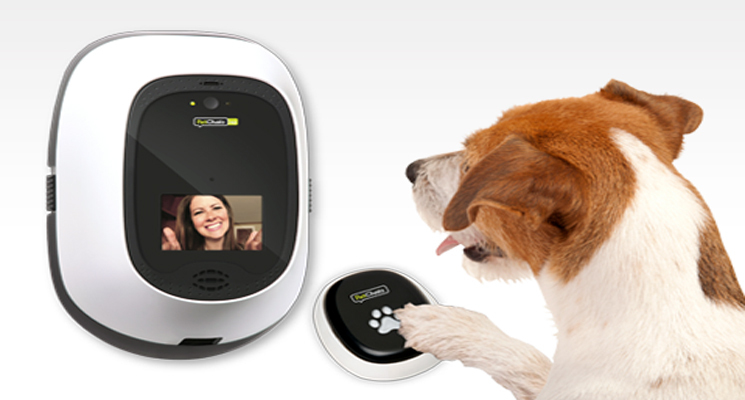 It’s a two-way audio/visual system and treat dispenser – so I could keep in touch and even spoil them from afar! Needless to say, I jumped right on buying it. With the PetChatz app, my pups could hear my voice, see me, and even send me a text message while I was gone! It was like a baby monitor on steroids. If you’re facing a vacation, or even if you just miss your pet throughout the day, consider getting one of these. You’ll be glad you did!